To avoid the "shoulders" typical of winged corkscrews, I offset the rack and pinon to create a more sleek appearance. ABS, chrome-plated zinc alloy. 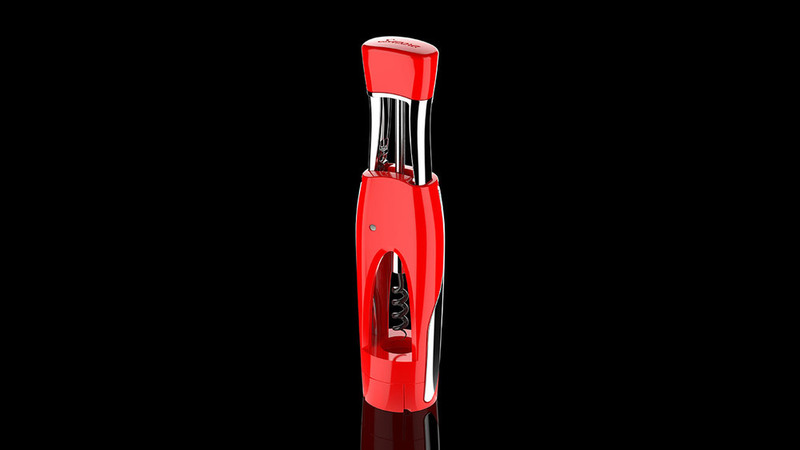 The snap-on base allows the corkscrew to stand upright, and doubles as a foil cutter. I designed the corkscrew to fit in with the existing items in the product line. A winged corkscrew design for a style-driven product line.